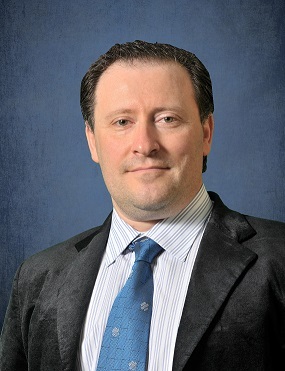 Arkady Bukh is an internationally renowned lawyer. Arkady Bukh, raised in Europe, has become a noted attorney in America. Seeing a way too many injustices in his home country, Mr. Bukh voiced an early commitment not to permit his clients to suffer the same fate. Mr. Bukh honored that commitment. Hundreds who otherwise might waste away in prison are enjoying their second change — their fresh start. Bukh Global, with headquarters in New York City , was founded on the principles of perseverance and commitment to truth. From its beginning, Bukh and Associates have built an unmatched record of advocacy fronting criminal charges, and his caseload has covered every region and many nations. Reading like a “Hall of Fame” roster, Mr. Bukh’s clients encompass one of the Boston Marathon Bombers and many internationally known persons accused of white-collar corruption. Mr. Bukh is a writer and speaker. An expert on business and legal topics that spring from the intersection of information security and the law, Mr. Bukh has frequently appeared on CNN, BBC, CBS and other international media. Cyprus is an island nation rich in history, resources, growth opportunities and business possibilities. Cyprus boasts a diverse culture in a mild Mediterranean climate settled in a safe and stable enviornment ideal for raising families and the perfect location for business. Here you can relax on the beach in the the morning before heading in to work and the island country’s laid back lifestyle means that shorts and a shirt are appropriate work attire for many of the nation’s industries. At night, have a musical choice among traditional, Western classical and Western popular genres as you relax at any of numerous restaurants, bars, eateries and sidewalk cafes. Let the island’s melodies roll over you as you enjoy an after dinner drink with friends, or go dancing in one of the many nightclubs. Cyprus’s CBI program is among the planet’s more liberal and progressive plans available. People are flocking to Cyprus for a chance to start life over or enjoy their current life in a new environment surrounded by new sights where they feel welcomed by the island nation’s natives. With travel to Europe just a few hours away, you can pass away the afternoon enjoying the mountains of Germany, the trails of France and the streets of Spain — and be home by dinner. Bukh and Associates works with investors who have been vetted through our internal due diligence which is similar to the same standards utilized by the Cypriot Government.